Instead, Adams sentenced Sneiderman to five years in prison, less than twenty-four hours after a jury convicted her of perjury and making false statements to police. But as DeKalb District Attorney Robert James pointed out, her tearful explanation did not include any acknowledgement of, much less an apology for, any wrongdoing. That’s why James recommended twenty years in jail on her nine convictions of perjury and misleading investigators. Adams showed some leniency in running the five-year sentences for each charge concurrently, minus the time she has already spent on house arrest. Plus, the judge sentenced her as a first offender, meaning that eventually the conviction could be stricken from her official criminal history. Sneiderman was led away, expressionless in shackles and cuffs. Her lawyers have said they will appeal. It was an anticlimactic ending to a Neuman-trial sideshow that turned main event with Sneiderman’s summer 2012 arrest on charges of murder. But just before jury selection started three weeks ago, James dropped murder and assault charges from the indictment, due, he said, to his lack of certainty that they were true, sending most of the network TV trucks scurrying back to their respective coasts. At which point Andrea Sneiderman’s attorney objected, and Judge Adams sustained, suspecting that Steven Sneiderman was treading into the more serious charges that had been dropped from the case. What was the true nature of the relationship between Andrea and Neuman? What, if anything, did she know of Neuman’s plans to kill Rusty? Those questions may never be definitively answered. 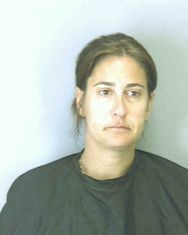 But at the moment, Andrea joins her former boss (who is currently serving life without parole) as an inmate awaiting appeal.